Microsoft launched Windows 8 with much fanfare telling everyone that it is going to change the way operating systems work on computers. Windows 8 is still touted as a single operating system that can work on both the PC and mobile devices, but how successful Microsoft is in this whole concept of Windows 8 as a single operating system for both PC and mobile devices? If you go by the way Windows 8 sales trend after its release, you will note that it’s not doing well. In fact Windows 8 adoption rate is even worse than Windows Vista. 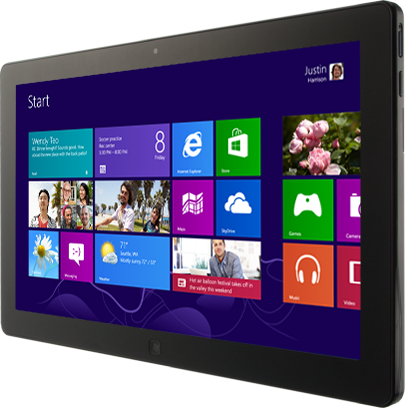 Just checkout some of the reports of timid sales of Windows 8 here and here. Even the OEMs like Samsung are not happy with the way Windows 8 sales are going on and they do blame Microsoft for this. I am not a expert but I have used Windows 8 since they released its first public preview. Windows 8 was only operating systems on all my primary systems till last 2-3 weeks. But now, I am back to Windows 7 and will try to talk about some of the reasons why I switched back to Windows 7. Most users and friends who have used or even using Windows 8 now tell me that they are running their system in Desktop mode for more than 90% of time almost forgetting that even the default mode of Windows 8 is not the desktop mode but the new start screen with tiles. Even when you try to use Windows 8 Apps in the so called Metro GUI, the apps are far from perfect even if you leave aside the lack of quality apps or even the quantity of apps. I did tried using the basic apps like browsers, twitter clients for many days but they were too bad to made me switch me to Metro GUI. We cant talk about the drawbacks of apps in some other posts. Single operating system for Mobile devices and Desktop? How hard Microsoft tries to tell us that a single operating system for Mobile devices and Desktops is better, it isn’t. By trying to make a fusion for mobile devices and desktop, it’s confusing for desktop users and its not working. Even the sales of touch enabled desktops are not taking off even after loads of marketing efforts by Microsoft and OEMs. Honestly, Desktops and mobile devices segments stays separate even after such a big bet by Microsoft. Touch can be a add-on for desktops and not the basic or primary consideration. Unless you keep them separate, you are bound to lose. I am yet to see someone using touch as a primary input source for Desktops whether its windows, Linux or Mac OSX. I am not sure how many of you will agree on this with me. The small things are complicated in Windows 8. Not sure why but simple things like shutdown, starting a program (without a shortcut on desktop) is very difficult. Even if you want to change a setting, its difficult to find where it is even for advance users. You will even find duplications with many settings just because of keeping the Desktop mode and the Metro GUI simultaneously. Windows 9 on the way? If you go by Mary Jo Foley’s report about a public preview of Windows “Blue” — the next version of Windows arriving soon, it may further lead to some slowdown in sales of Windows 8. People who are on Windows 7 would love to wait for the next release instead of upgrading now and then spending more dollars next year for a new upgrade. Windows 7 is still a robust operating system just like Windows XP was and most users will postpone their decision about the upgrade. If you forget the Metro GUI and the apps (Which most users don’t use for most of the time), for me Windows 8 is just a service pack upgrade (may be SP3) to Windows 7 bring improvements to performance, stability, some new features and loads of bug fixes. Even though I bought a license key for Windows 8, I am staying on Windows 7 for quite some time in near future.